Thank you very much, this is the info I was looking for. I will be getting a manual for this car in the future (I see PDF versions available for a reasonable price), but since I just bought it, I don't have one yet. Okay, left work today, all is good at first. Booted it a couple times, fuel pressure good (climbed well past 1800 psi), no misfires, runs great up to 4,500-5,000 rpm through 3rd gear and pulls strong. After a couple of more miles, I get another opening from a stoplight, boot it again, runs fine through first and second, hit third fuel pressure quits rising at just over 1k psi and flutters a bit, engine bogs, then the CEL flashes, but goes back out when I let off and it stays off. Car drives rest of way home fine since I didn't get on it again. It definitely seems the issue is fuel pressure related, so does this sound like the low pressure line issue, or could it be with the high pressure pump at the engine? Did you Mod the whole fuel system or just the pump? I just bought the car, and have been having mis-fire issues when you get on it. No P0087, just P0300-0304 codes. Changed spark plugs due to mileage but no improvement. Definitely seems to be fuel related as fuel pressure stops climbing with engine speed after driving a few miles. No obvious mods other than a K&N drop in air filter in stock airbox. I would recommend 6th Elements Fuel pump (DW65c Hyundai Low Pressure Fuel Upgrade and steel braided fuel lines (PTFE braided line - 6AN) but I don't know the condition of you gas tank (might be full of gunk). BTW E9C900A has a lot of good info from over the years, also TooGqForYou, Bigbird, Mr.MattyV, rspec2014, TyBardy, trdtoy, and these are a few people Who and Been a Great Help to me in my journey. Last edited by Nihil1; 03-25-2019 at 08:30 PM. Flashing P030* DTCs are a huge no-no with this engine. What is the mileage of the car? If you have no record of the maintenance history, the absolute first thing you should do is get all cylinders borescoped, a compression test and leakdown test done. If the combustion chambers and intake valves are excessively crusty with hydrocarbon deposits, have a walnut blast job done. Factory ‘13 spark plugs are way too hot. Replace those with HKS M40XL plugs gapped to .028” and if over 45K miles, replace the ignition coils as well with OEM. Let’s make sure the ignition system is healthy and combustion chambers are relatively clean before replacing fuel system parts. An aftermarket fuel line is much cheaper than a HPFP. After the health check is done, I’d like to see a Torque Pro (TqP) log of a full throttle 3rd gear pull from 3000 to redline. Until this gets properly sorted, do not put high load on the engine by applying even moderate throttle in a high gear. Otherwise, you’ll eject a piston or two through your block. This is exactly the type of stuff I envisioned seeing when we went through all the common problems 4-5 years ago. It is very apparent that the prior owner(s) did not do appropriate maintenance. Last edited by E9C900A; 03-25-2019 at 11:51 PM. Proper heat range 8 or 9 plugs, aftermarket fuel line, and 91-93 fuel should fix it. 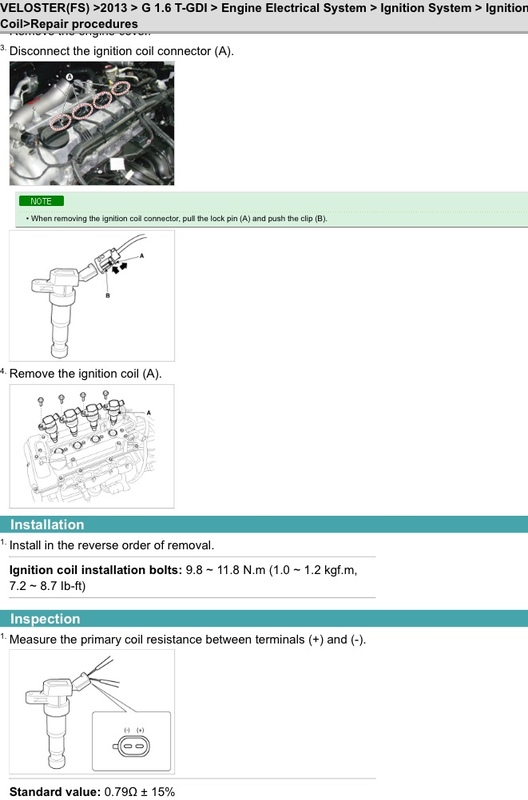 New OEM coils may also be needed. The older cars had much worse components and tunes in them and running lower octane fuel makes it even worse. Car has 88k miles, great shape, clean with well documented carfax. Sat on dealer lot for a while through the winter due to disinterest in the Matte paint and manual trans. Ran fine at first, then the misfires started after pulling out of a rest area and getting on it to merge with traffic. Changed plugs when I got it home due to mileage and not knowing if they had ever been replaced. Old plugs came out clean and dry, just normal light brown deposits. No gas, oil, burnt ground electrodes, etc... Ran good at first after plug swap but misfires returned after a while. After warming up a bit, when on the gas over 3,500 rpm, the fuel rail pressure stops climbing (normally not until 3rd gear) at around 1.1k psi, and then the CEL flashes misfires. When driven lightly, car runs flawless, smooth as butter, got 35+ mpg at 75mph on trip home, never registered another mis-fire all the way home, nor in normal driving now trying to sort it out. Only mis-fires when the fuel pressure drops . Only other thing of note, there are light black sooty deposits on tailpipe outlets. Replace all 4 ignition coil packs. If you don't have the money at least replace 2. I recently had a similar experience. I had 2 completely go out at 62k. Black soot on the exhaust is normal.